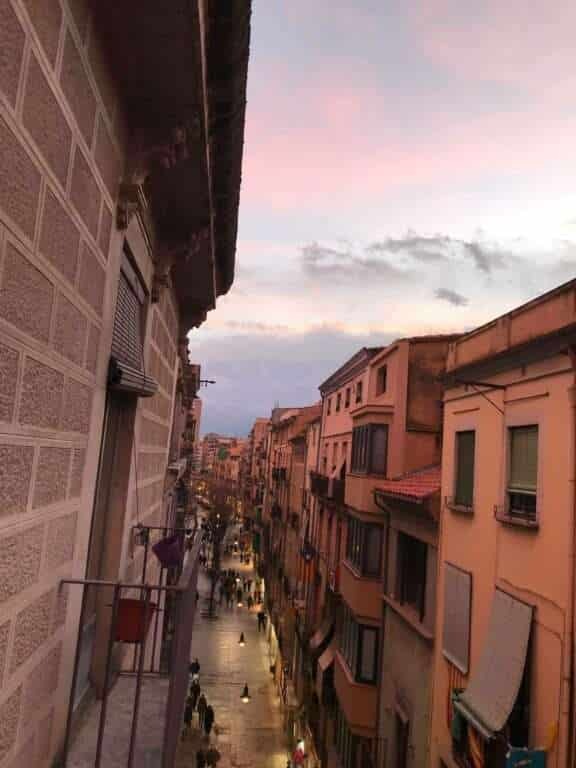 It’s only been a 50 days or so since I wrote my last blog for Voxwomen, but already I find myself ticking over the big one month anniversary of being in Europe and would say that I’ve settled into the Spanish (and Girona) way of life fairly nicely. I flew out of New Zealand not really knowing what to expect of this ‘professional cyclist paradise’ that I would be calling home, having previously heard of cyclists basing themselves in this foreign place and raving about the riding and lifestyle. I never could have possibly imagined myself ever residing here, but always viewed it as this cool, exotic city; almost the trendy location to be if you had anything to do with cycling. I wondered if people only moved to Girona because they’d seen others living there and perhaps weren’t motivated to research their own overseas base, or if it was really all it was cracked up to be. Are there any cyclists who don’t actually like Girona or believe it’s overrated? If there are, they must be an extreme minority and keep their opinions close to their chest, as I haven’t heard or read one slightly ‘off’ comment regarding the place. 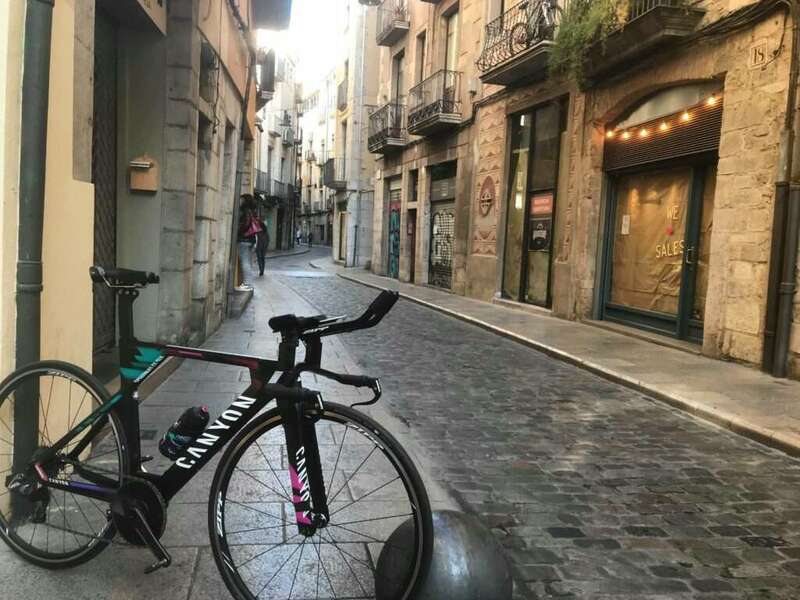 I can now see why critics are muted, with my humble experience of just under three weeks spent living and riding in Girona, I am able to confirm that this place is rather cool. I will admit though, my first ride under the influence of jet-lag at 8.30am with temperatures barely scraping 0 degrees and having absolutely no clue where I was going, wasn’t ideal for a favorable first impression. Things have improved since then, after I came to learn that sometimes delaying roll out time slightly to a more sociable hour can really enhance the overall riding experience and mean that the gloves, snood and leg warmers can be saved for another occasion (like Belgian races) instead. There are so many things to love about the riding here, and I feel like I’ve rediscovered that little bit of extra motivation that was lost when riding back in NZ on roads that became too familiar and therefore routine and somewhat monotonous. The variety of terrain and scenery is incredible; there are endless (and slightly overwhelming) route options suitable for all different training sessions, the climbs are steady but not too steep, the motorists are extremely courteous (for the most part) and so far the sun has always been shining. Alongside the change in location, another big adjustment for me this year has been a change in coach. With this has come a whole new style of training which I feel like I will really thrive from and hopefully take my riding up another notch. The volume has been greater and the specifics more detailed, but I’m really enjoying stepping up to it and challenging myself in training everyday. My increased motivation along with ramping up the training, combined with a fresh, new environment seems to be a pretty good recipe for a favourable year. Off the bike, I’ve come to really like the way of life in Girona, especially living among the hustle and bustle of the old town. It’s so nice being able to wander around all the various shops, and test out all the different cafes to in search of that perfect brew. It may sound a little sad, but my newly found independence after living at home has been quite liberating and exciting, even supermarket trips are a daily highlight. The first university semester of the year has also kicked off, and so far I’m enjoying having my study to focus on during the afternoon in order to draw my attention towards something other than sleeping, riding, stretching and eating. 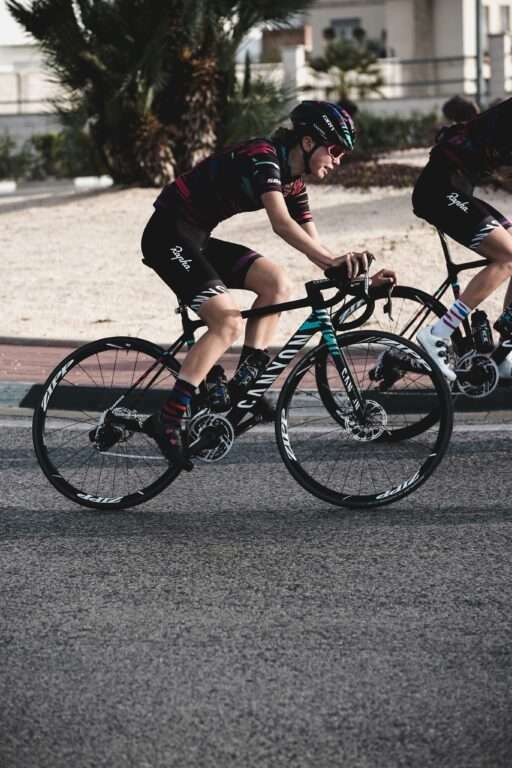 I think for me personally, I could have very easily taken a break from my study for the year and gone in to 2019 fully concentrating on cycling, but I also believe that having some continuity and another area of interest on the go is crucial for maintaining a lifestyle that’s well balanced, productive and enjoyable. When I first left high school at the end of 2016, I had great targets for myself both in my initial chosen study course and on the bike, but it soon became all too apparent that I wasn’t really studying what I was truly interested in and was too bogged down in a course I didn’t enjoy. I wanted to gain some overseas race experience in 2017, but my troubles with finding my feet in tertiary education affected this significantly and left me feeling as if I’d wasted a year by not gaining a lot with my cycling yet not having a solid year of university under my belt either. 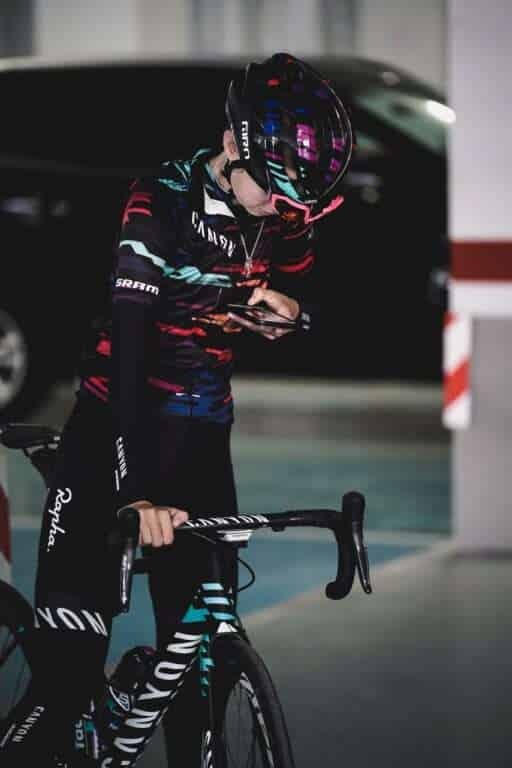 It’s often a difficult transition from high school into tertiary education when you have the aim to continue to progress and further your cycling, but also want to use that momentum from just finishing school to make a start along a potential career path viat university. I know many promising junior cyclists struggle with this in New Zealand and often find their cycling falling by the wayside not because they have lost motivation or drive, but rather as a sacrifice they feel they have to make in order to succeed at university. To those who perhaps are just starting their tertiary education or are beginning to think of their next steps after high school and are not willing to let their cycling take a back seat, I’ll share what I have learnt based off my own trials and tribulations. When I enrolled in university, I was still unsure as to what I wanted to do as a career and had no clear idea of where my passions and interests actually lay. I liked the sound of some courses, but did they really motivate and excite me enough to keep me learning and engaged? Did the course I had selected allow me sufficient time and flexibility to both train, work part time (cycling is not a cheap sport) and travel to the races I wanted to compete at? And finally, had I actually nailed down a plan or a couple of long term targets of where I wanted to be in 3-5 years time with both my sport and my education? The answer to all of those questions was no; I really had no clue and hadn’t put any thought into where I hoped to head. I knew I wanted to learn something and I also knew that the desire was there to try and progress my cycling, but in order to succeed in a time of complete change and general uncertainty, I have since realised that I needed to thoroughly plan and really ask myself what I wanted. It was a fresh start and a chance to hone in on what I wanted to work towards into the future, but I rushed into university without a clear mindset or true appreciation of what I actually enjoyed and where I wanted to be a few years down the track. It’s all about finding that equilibrium point where studying is manageable, enjoyable and interesting, but improvements and progress are still being made in a chosen sport to make it worthwhile and truly rewarding. After year one of my tertiary education, I took a good, hard look at what I was doing which ultimately led to a far more successful year two. I completed the year of full-time university and was also able to race my bike internationally and continue progressing. Come year three however, I feel like all my ambitions have really fallen into place. Numerous mistakes combined with a lot hard work, risk and subsequent reward have allowed me to land myself in this incredibly fortunate position. I’m able to study, ride for one of the world’s best women’s cycling teams and live in an environment that I’m thoroughly enjoying. My work and training have now combined into one, and it’s an unbelievable feeling. Last year, I always thought that my ideal place to live would be in an apartment in a town area close to shops and cafes, and Girona has certainly nailed that brief for me. My parents always told me not to put all my eggs into one basket, and although I’ll need to really concentrate on my time management and reduce the always-present procrastination, this year I think that these two key components of my life will compliment each other nicely and provide an escape for when I need a break from one. I’m really pleased with where the year seems to be heading so far, and I look forward to taking the Voxwomen readers along for the ride with me. I’ll be reporting back in May, but keep up to date with my whereabouts on Instagram @elllaharrris until then.